With only 60 seats available, we anticipate a sell-out for each performance, and suggest that you order your tickets today! Gallery 1516 is pleased to present our first “Theatre in the Round” event surrounded by artwork from the collection of the Museum of Nebraska Art. A collaboration that truly celebrates Nebraska artists. The MONA2Omaha exhibition represents 5 years of planning and effort to bring this to reality…an emotional high for me but the real credit belongs to those who shared the vision and were in a position to help financially. To date we are halfway to our goal to pay off the construction costs with special thanks going to both the Holland Foundation and the Richard Brooke Foundation. Others who deserve recognition include The Douglas County Visitor’s Bureau, The Gilbert M. & Martha H. Hitchcock Foundation, Steve Martin & Amy Haddad and the Friends of Gallery 1516 who have joined and/or donated through the Omaha Gives Campaigns. 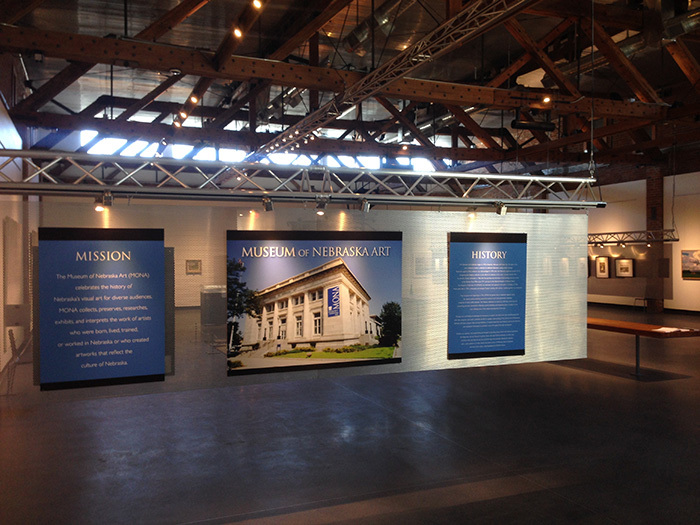 We have been in touch with the Nebraska Chapter of the American Institute of Architects (AIA) and Gallery 1516 is likely to be the host site for their 2017 awards dinner, followed by a month long exhibition of all entries that will create further awareness among students interested in the arts and pursuing a career in Architecture. 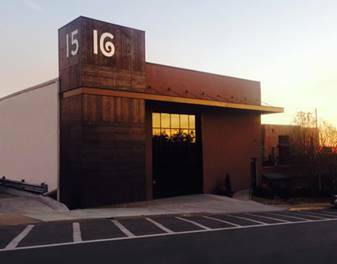 The 2016 Omaha Gives Campaign will take place on May 25th…please consider supporting Gallery 1516 and/or share our vision with friends who may have an interest in the commitment to Nebraska and regional arts. It was a spectacular event in Omaha. We estimate that over 350 people attended throughout the evening. They arrived in waves starting promptly at 6 pm. By 8, the gallery was filled with hundreds of people. It was then that my friend, Robert Duncan, asked if I would show him how the big door worked. As I proceeded to open it, the chatter of the crowd grew quiet as people turned to see what was happening. When it reached its peak, everyone broke out in a thunderous applause! It was a dramatic and defining moment for all of us who helped bring this dream to reality. 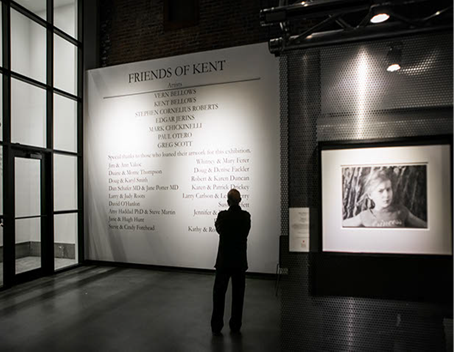 The Friends of Kent Exhibit will be on display through January 10th and we are pleased to announce that Dr. Molly Hutton will give a talk at the gallery on Friday, January 8th. We plan to videotape her comments for the archives along with each collector, friends, and artists who have an anecdotal story about Kent to share.